The Coachman Collection gives your home classic elegance, created for today's active lifestyle. 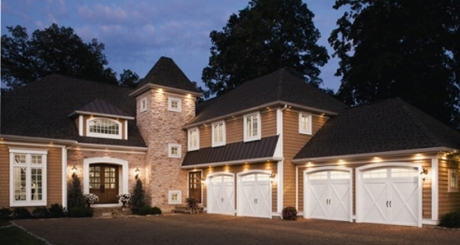 With three distinctive series crafted to complement your home's architectural style, the Coachman Collection offers the sophisticated expression of a carriage house door with the science of a durable steel and composite construction. The result is a classic look that's virtually maintenance-free. It's the perfect blend of beauty and practicality masterful in the details and innovative in design. 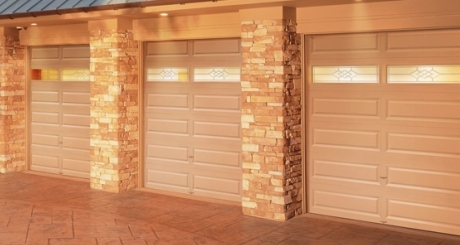 Grooved panel steel garage doors offer a vintage style appearance in many pre-painted colors or new Ultra-Grain finish. 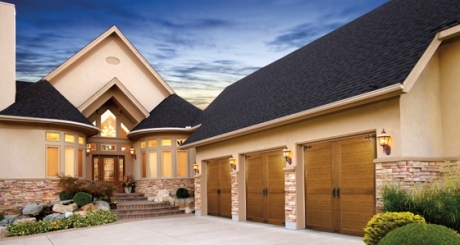 Clopay’s Value Series garage doors offer the most economical approach to upgrading your present door to a new, hurricane rated garage door. 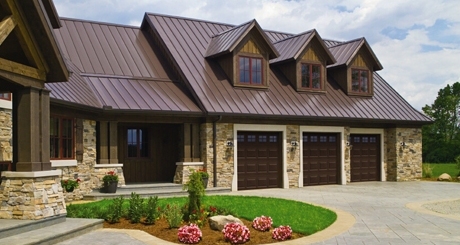 With its 24-gauge steel construction and traditional raised panel design, the Model 94 is designed for long life and maximum curb appeal. And Clopay is the only garage door manufacturer to have earned the Good Housekeeping Seal of Approval. Call or email us today to discuss your particular requirements. And of course, we can provide you with just the right electric operator to make this the last door system you buy. Clopay’s best, the Premium Series offers a choice of different looks in a three layer door. Two layers of steel encase an expanded polystyrene insulation providing a full two-inch thick construction, making this series of doors among the strongest and safest available anywhere, and, with Clopay’s 9.0 R-values, these doors offer exceptional insulating performance. 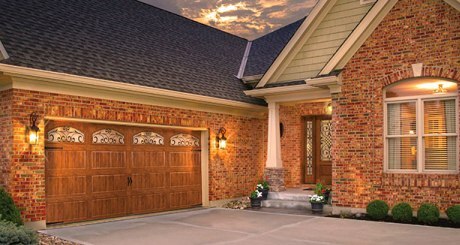 Clopay is the only garage door manufacturer to have earned the Good Housekeeping Seal of Approval. Call or email us today to discuss your particular requirements. And of course, we can provide you with just the right electric operator to make this the last door system you buy.